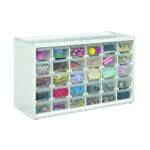 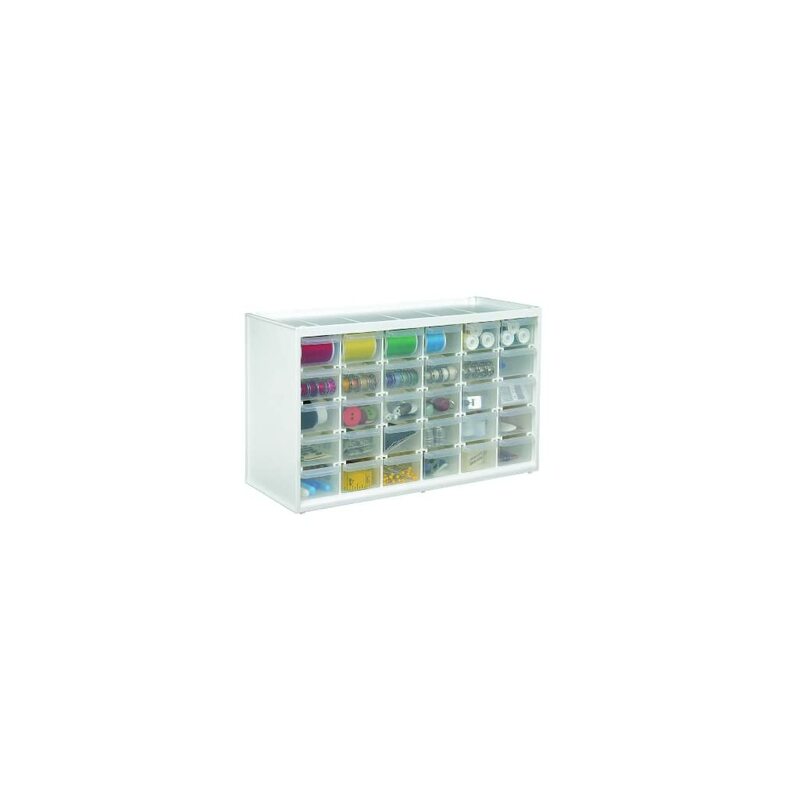 Sturdy white plastic with 30 transparent drawers (1.5 x 2.25 x 5.5 inches). 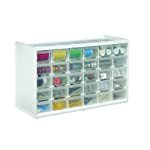 Wall mountable for space saving organization. 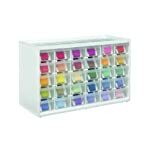 Perfect for beads, buttons, thread, pens, pencils, stamp and stamp pads, inks, kids craft supplies, cosmetics and jewelry. 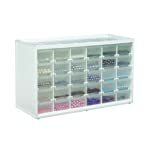 Conveniently stack both 6809PC and 6830PC styles!